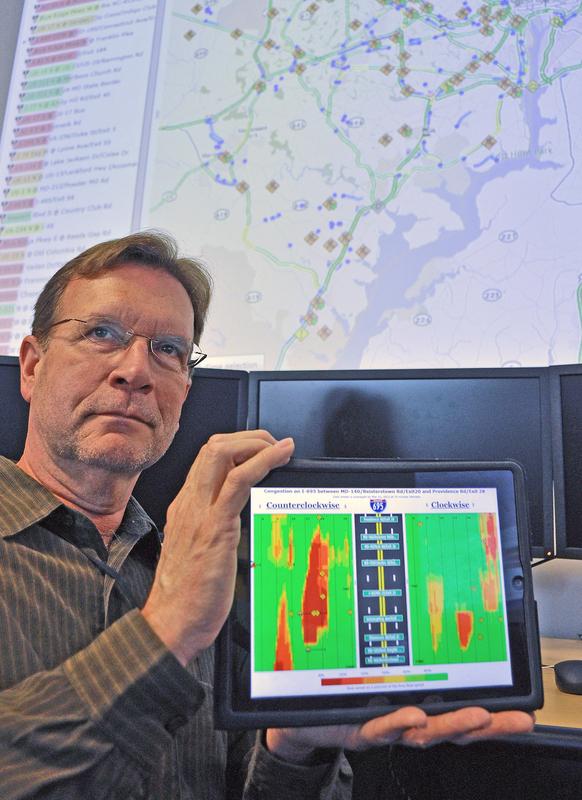 John C. Allen, chair of the Vehicle Probe Project Suite User Group, displays a Congestion Scan, one of the many data visualization tools developed by the University of Maryland’s CATT Lab, which are used to facilitate improved transportation planning and operations. The Suite Dashboard is pictured in the background. In order to allow you an extra week to get your best transportation shot, we have extended the deadline for submittals to AUGUST 7, 2013! Please be sure to fill out the entry form, caption, and, if appropriate, the model release form before sending in your photo.